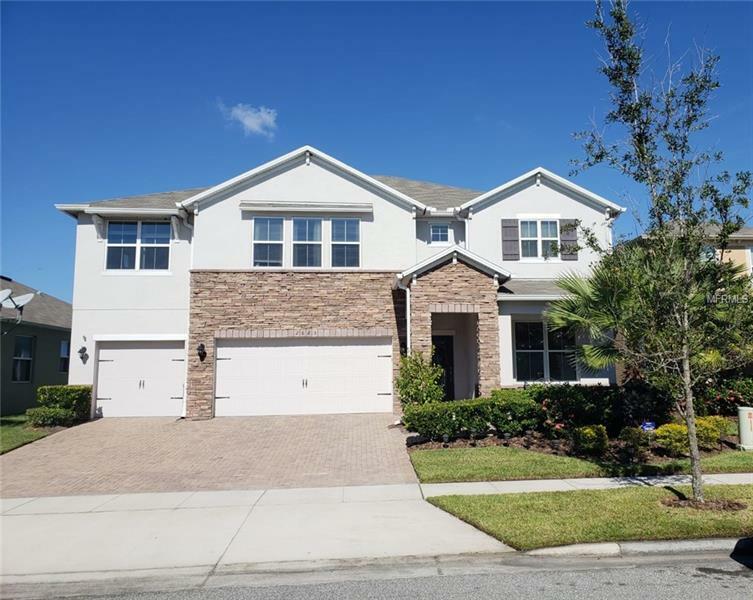 Beautiful family home located at Tapestry Preserve with 4 bedrooms, 3.5 bath and a huge loft / home theatre in the second floor. come and see all the upgrades owner put in the house. Beautiful kitchen 42' cabinets, granite counter tops, large breakfast bar and all stainless steel appliances , private Dinning area. Spacious dinette with sliding doors access to the covered screened patio area .Master bedroom with his and her closet, ANOTHER smaller Master is located in the second floor.located near the loop area and major highways ...close to disney...Don't miss this opportunity , this home can be anyones dream home. schedule a showing and make it your HOME ! !